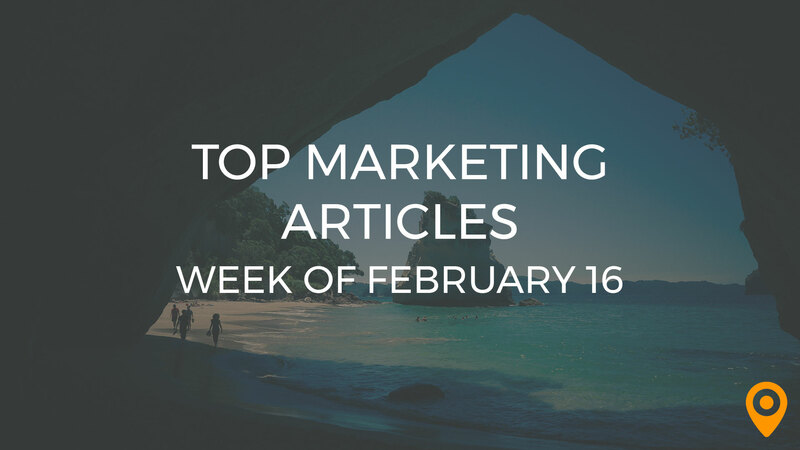 This week’s roundup includes tips to choose an influencer on social media, drive conversions by improving existing content, and analyze your competitor’s websites to generate an effective SEO strategy. Learn how to create a data driven content marketing strategy and optimize your checkout for mobile customers. We’ve covered all of this news and much more below! Knowmad Digital Marketing share their tips on designing your website with lead generation in mind. ATX Web Designs offer their strategies for generating winning content every time. Learn how to best leverage the links you already have with help from SocialSEO. Amie Marse offers valuable tips to help marketers create content without blowing their budgets. Learn how to create a data driven content marketing strategy from Ashley Poynter’s blog. Susan Gilbert discusses ways to attract more leads with magnetic content marketing. Krishna Shastry draws special attention to the relationship between SEO and content marketing and highlights the main differences between them. Ahmed Wagdi offers guidance to optimize your content from an SEO standpoint. Learn how to increase conversions with your company’s blog, with tips from Jennifer Kelly. JD Parkman’s blog lists the lead generation techniques to help marketers increase online sales. Laura Stamey highlights how strategies such as catering to mobile users and performing effective keyword research can optimize your website for conversions. Ann Smarty offers guidance to help marketers drive conversions by improving their existing content. Learn how utilizing a CRM can benefit your business and take it to a new high, from Hitesh Bhasin’s blog. Lizia John discusses how strategies such as optimizing your CTAs and creating unique subject lines can increase the number of email subscribers. Follow these valuable tips from Mike Allton to get started with email marketing. Md Afraz Alam highlights why interactive emails, email automation, email marketing segmentation and mobile friendly emails will trend in 2018. Acadia Otlowski emphasizes the need for including a clear call to action in your marketing message and segmenting your emails to enhance your email marketing efforts. J. Keeton highlights why it is imperative to optimize images and incorporate responsive design for boosting your mobile SEO efforts. Brenda Berg outlines the steps to optimize your checkout for mobile customers. Diona Kidd highlights the significance of local SEO in today’s scenario and discusses how it can help businesses to create their brands. Drew Whitmill offers useful tips to effectively measure and report the success of SEO campaigns. Jen Saunders draws special attention to important facts about SEO and discusses the present scenario of SEO. Angela Swolsky provides guidance to marketers from an off-page SEO standpoint. John Vargo highlights the different elements of an SEO audit and offers guidance to perform an effective analysis of your competitor’s websites. Lou Jordano offers practical social media tips to choose an influencer. Kayla Tarantino draws special attention to the expected social media trends in the year 2018 that revolve around ephemeral content, video content, and regulations. Learn how to improve your UI Design, from Magdalena Brych’s blog. Irina offers useful tips to help marketers strike a balance between SEO and UX in today’s scenario.